Our kitchen is much like our brewery - small but effective - with a focus on the highest quality. We take pride in the fact that we consistently use fresh, seasonal, and locally sourced products. Due to this, the menu changes frequently, and availability may vary. 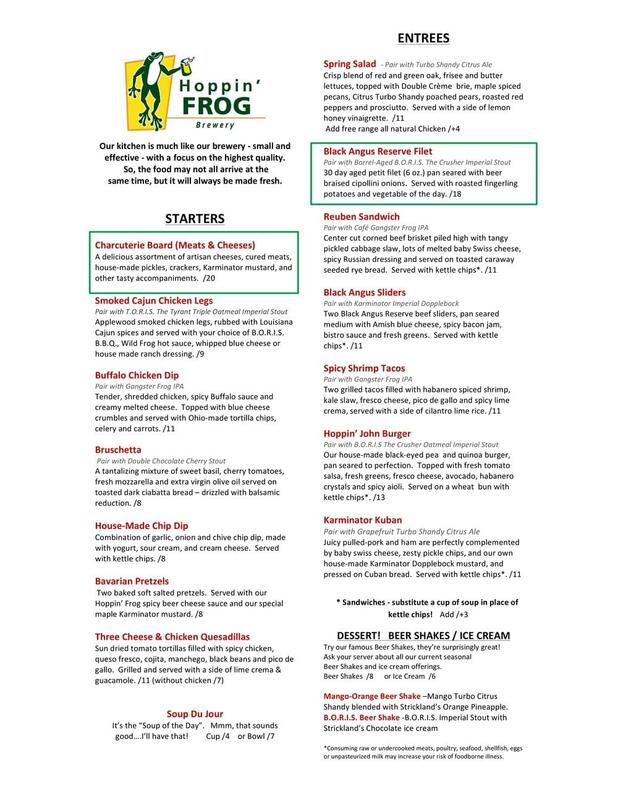 Our culinary team also excels at pairing and melding the flavors of the cuisine with the Hoppin’ Frog beer catalog to provide an exciting food and beverage experience, every visit. Stop by and start your adventure today! We do not operate a grill or a fryer. No burger and fries around here! We do offer menu items that are vegetarian friendly!